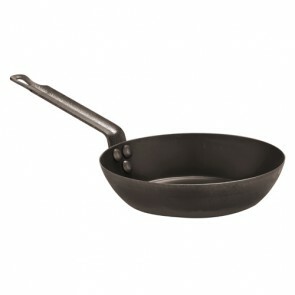 AZ Boutique, features a wide range of frying pans: ranging from classic frying pan to the large wok stir fry pan, paella frying pan, crepe maker, blini pan or grill pan. Some are available with non-stick coating for easy cooking. The frying pan is an essential cookware utensil! This kitchen cookware item is used for our food preparations: vegetables, meats, fish, eggs, rice, even pancakes everything will fit! 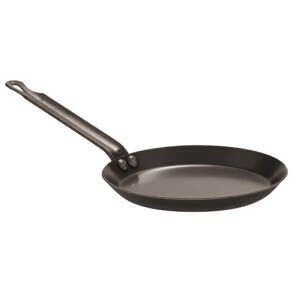 Find the fyring pan which best fits your needs and which is both useful and practical! Select the type of frying pan you need: suitable for all types of cooktops: induction or gas, your kitchen utensils must adapt to your cooking equipment. 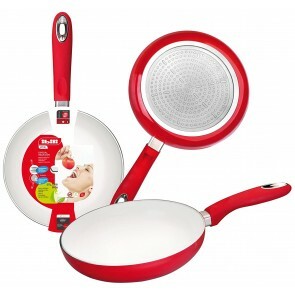 Choose a nonstick pan to make the most beautiful omelettes or the most beautiful pancakes! You will certainly find what you need on our website AZ boutique. Our stoves are available in several sizes: small pan of less than 24cm diameter for blinis or pancakes, frying pans of 28cm, grilling pan of 38x26cm and large skillet of more than 30cm diameter for your big preparations. 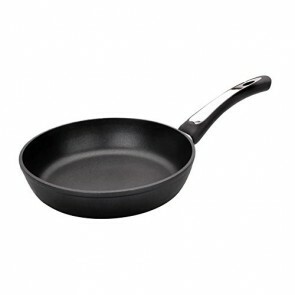 How to choose the right type of frying pan? 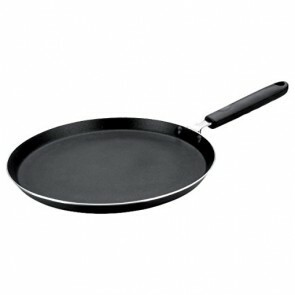 You have to know that there are several types of frying pans aimed at different purposes! 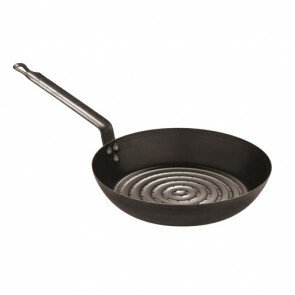 For instance, the simple frying pan (for all types of preparations), the grill pans (for large pieces of meat for example), the pancake pan, the paella pan, the skillet or the wok. They have a long handle, a handle or two handles (like the traditional pan to simmer paella). 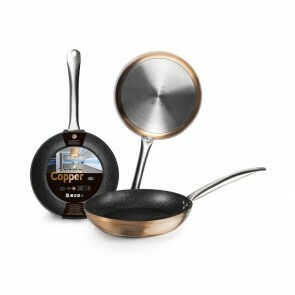 Some frying pans even feature a removable handle. Pans are found in a whole variety of the materials are very diverse. We find the cast iron skillet, enamel pans, steel pans, aluminum pans, copper, pyrex, or even stone effect pans. The material used is of major importance with regard to the resistance of your frying which will be exposed to direct flames and high temperature! The 18/10 stainless steel pan is ideal for sauteing, cooking or grilling meat, fish, vegetables while retaining every single flavor. 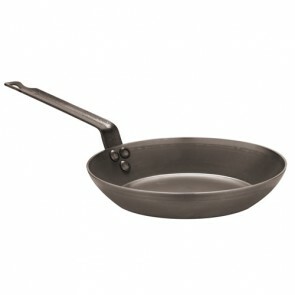 The sturdy stainless-steel pan is widely used in professional kitchens. Stainless steel is a healthy material, suitable for food contact. The stainless-steel pan allows a good distribution of heat, excellent thermoconductivity, enabling a rapid rise in temperature, but also an immediate stop of cooking off the fire. 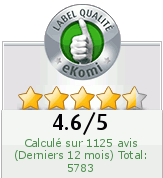 It is the ideal tool for safe cooking. The blue iron pan, which also promotes rapid temperature rise, is especially ideal for quick cooking of your meat or omelettes. The blue iron is compatible with all fires including induction in general and is particularly suitable for ‘sauté’ cooking. There are also cast aluminum or non stick frying pans. They are usually non-stick pans most often made of cast iron, Teflon, or non-stick ceramic coating or they are also made of amorphous carbon. 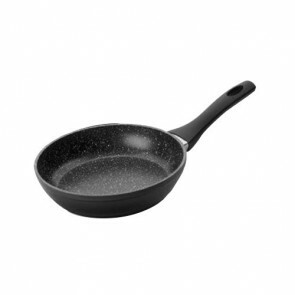 This type of non-stick frying pan allows for easier cooking and reduces the use of fat for healthy cooking and also facilitates cleaning! To avoid splashing and possible projections, also think of cooking protections and glass and stainless steel lids! Fried rice, pork chops or even french toasts? 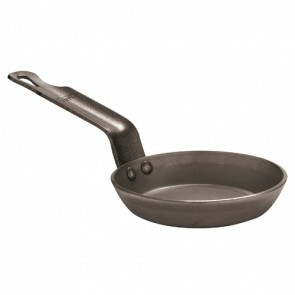 What type of frying pan will you need to cook? Choose from our wide selection of Paderno or Lacor frying pans! To complete your cookware, browse through our Cookware section including pots, stock pot, saute pan, stainless steel saucepan, saucepan, cast iron casserole, Dutch oven and roasting pan as well as the necessary cooking accessories such as lids, oven gloves or sleeve protections!